Our very first “365 Things to Do in Cincinnati” installment features a visit to Sharon Woods. Whether you’re into hiking, boating, picnic-ing or want to take the kids to a great playground, you need to give Sharon Woods a visit. 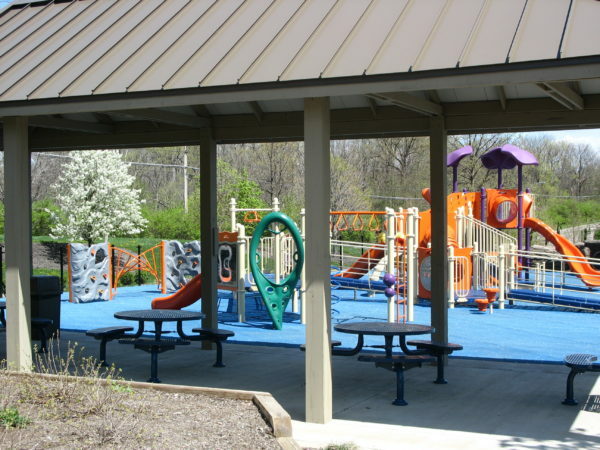 Sharon Woods is a Hamilton County Park District park located off East Kemper Road in Sharonville. 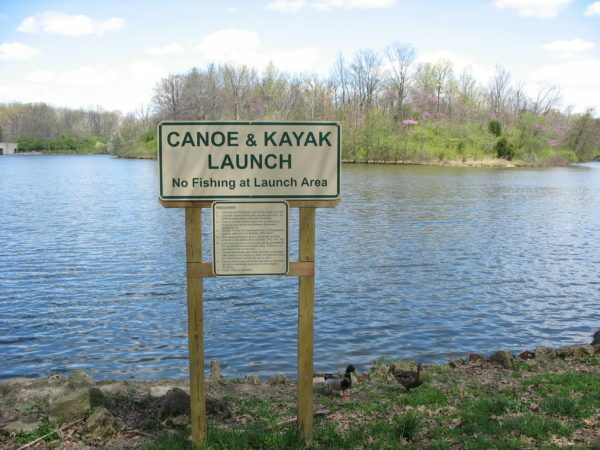 For the avid canoers and kayakers, the lake has a great spot for getting in with a canoe or kayak. It’s actually close to a zero slope area with very little drop off from the path to the lake. I would venture to say that an experienced kayaker wouldn’t even get his/her feet wet getting in. And if you’re toting your own canoe or kayak, there’s a parking lot across the park drive that is very close to the “canoe/kayak” entry spot. Don’t own your own equipment? 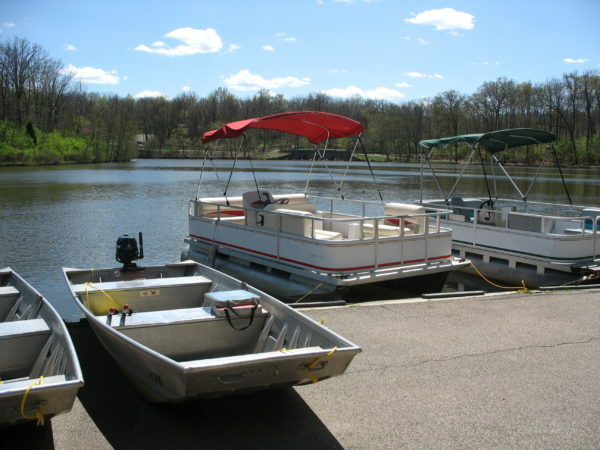 You can rent equipment to get out on the lake at the boathouse. They have pontoons, canoes and paddle boats. They also rent bicycles. The park has a paved trail that goes around the lake (2.6 miles). And there’s even have a parcourse fitness trail (1.0 mile). Just as I was wondering if anyone actually ever used the parcourse trails as an exercise routine, I came across a man doing some “step ups” on one of the stations. So I suppose someone does use them for more than walking. 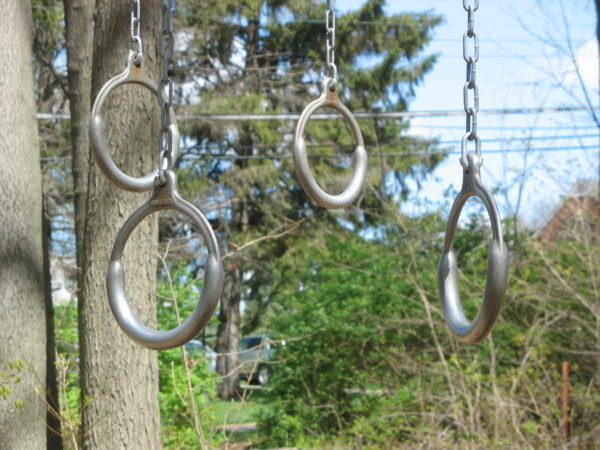 The park boasts a few different playgrounds. This one has picnic tables under cover and is right next to a snack bar. There are other playgrounds within the park. There are also a number of picnic tables and grills for use. Someone was grilling their lunch while I walked today – Yum! You must have a Hamilton County Park pass to enter. They sell them at the entrance to the park. I might add that Sharon Woods is one of Hamilton County Park District’s oldest parks. One of the many jewels of Cincinnati. I’m new to the area, all your parks are beautiful and I would like to enjoy them this summer. Could anyone please tell me how I pay the 5.00 fee? Hi Shelley – Great question. When you arrive at the park there will be a small building at the entrance. You can buy your pass there. I, along with others, walk the parcourse in Sharon Woods all of the time. It is an ideal place to exercise during the hot sunny summer days because it is so shady and cool. The hill is somewhat treacherous. I like it because it is not only one of the beautiful places in the Hamilton County to walk, but it also adds some resistance to the my walk. It is a mile up and a mile down. Of course the way down is a breeze, but the way back up the hill seems to take forever and with no end in sight. hhhhh Nevertheless, I always have music on my iPod, so I get lost in the songs and just enjoy the scenery along the way. 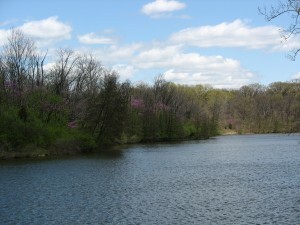 I love to do the lake loop at Sharon Woods, take the big hill before the finish, go down the parcours trail to the first left across a picnic area, then take the Gorge trail back up through the woods … The Gorge trail ends across from the spillway into the lake, and you can finish the loop and end up back in the Harbor area … totals about 4 miles and can be done in an hour if you’re looking for a way to get your heart rate up :). Love the combination of paved and unpaved trails in this route.